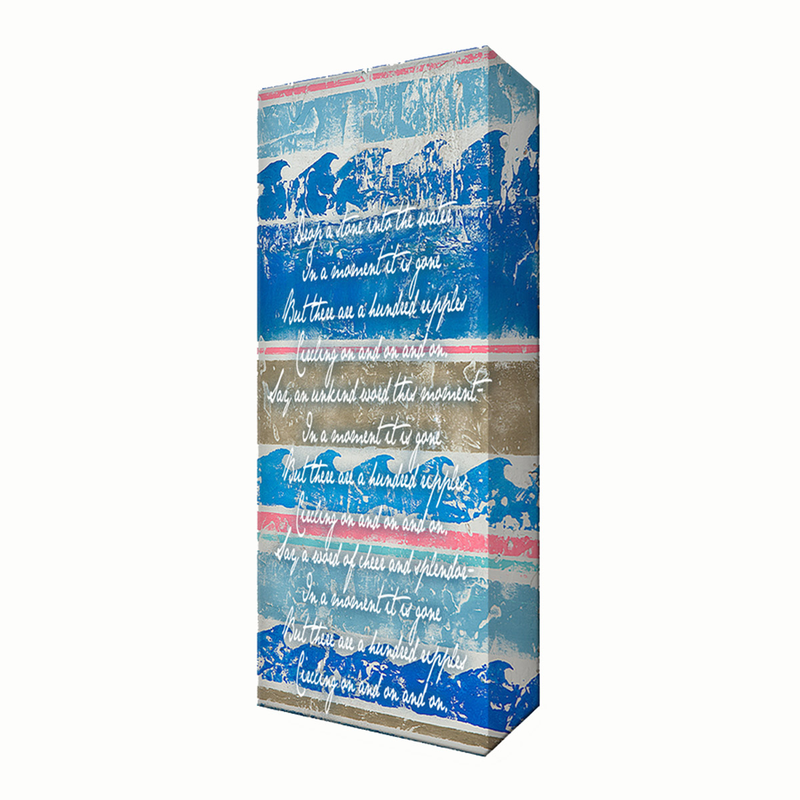 The Beach Towel Wave Aluminum Wall Art enhances your seaside kitchen with white script on distressed, multicolor waves. This beach wall art ships from the manufacturer. Allow 3 to 4 weeks. Cannot express ship. For even more offerings, we encourage you to make time to shop our extensive array of beach wall art at Bella Coastal Decor today.